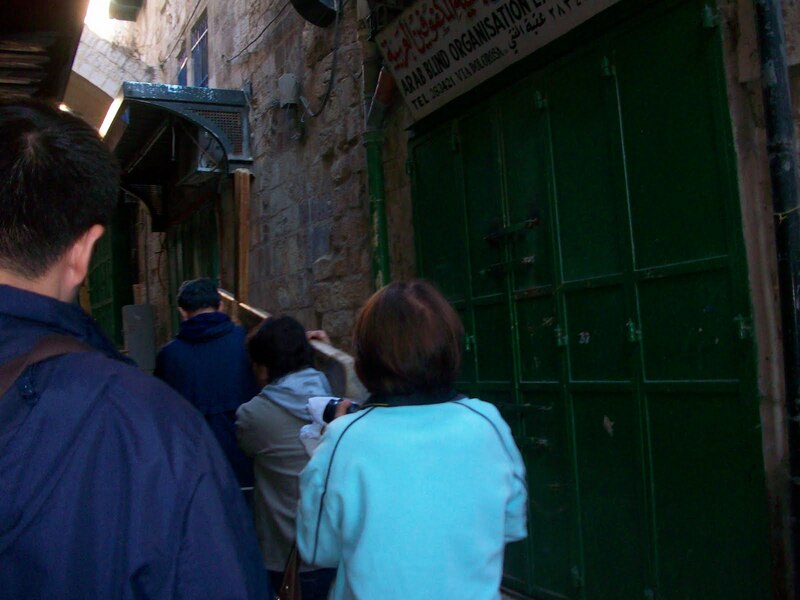 >The Holy land Pilgrimage is not a leisurely travel. I believe that more than being able to experience different countries and their culture, it’s more on coming into terms with your faith. It’s in Holy land that you see and feel the things that you, as a Christian, only hear from Mass and read from the Bible. Long walks must be endured to go from one Holy place to another. Plus time is of essence since large number of tourists come to the Holy places, we must always wake up early to be early queuing and finish late thus sleep late. 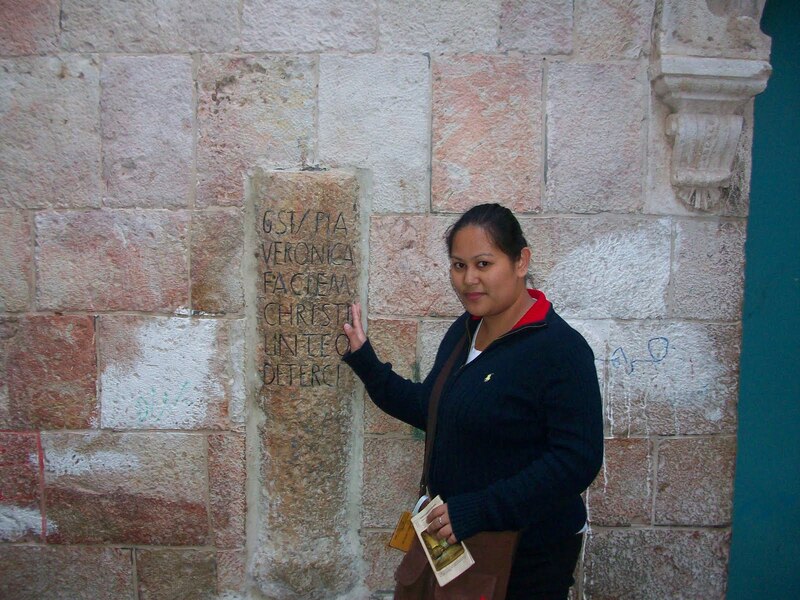 I will retell the experience I had when I did Via Dolorosa (way of sorrow) in Jerusalem. I’m sorry most of the Holy places I did not have photos because I was at awe and I was at some point, carrying a cross. 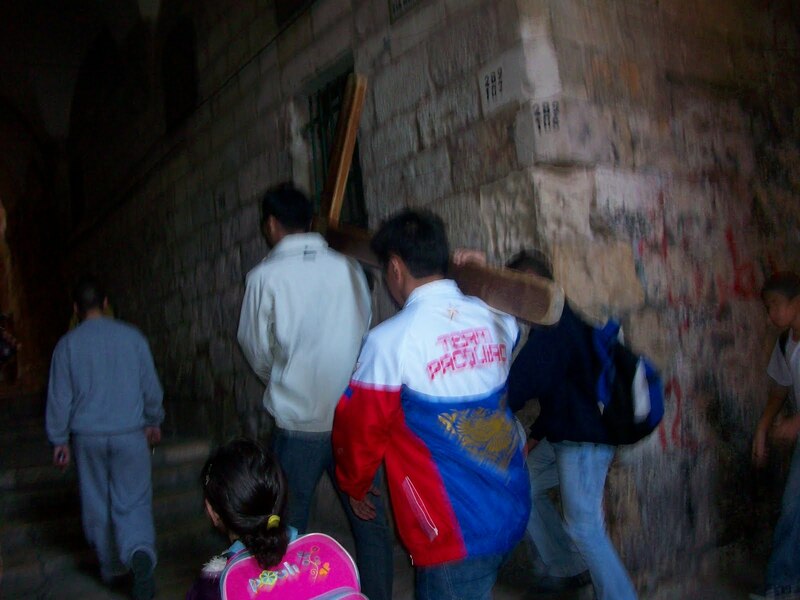 Yes, the group rented a cross and took turns carrying it while doing Via Dolorosa. What is a HOLY PLACE? Actually, it’s not the real and precise place where Jesus walked. It is where the Church venerates a mystery of Christ’s life. A probable place where Jesus performed his miracles and lived His life. The Holy places were marked by numbers on carved on the walls, doors, etc. Today the Holy place is a bazaar by day. That’s why Via Dolorosa is done in early hours of the day when the shops are still closed. Place: Antonia Tower is a Roman fortress where Jesus was condemned. Place: At a Polish chapel, a high relief above the entrance, by the Thaddeus Zielinsky, shows Jesus falling under the cross. Place: Tradition says that Mary stood by the roadside in order to see Jesus, in an Armenian Catholic chapel, Mary’s grief and sadness are remembered by a sculpture. 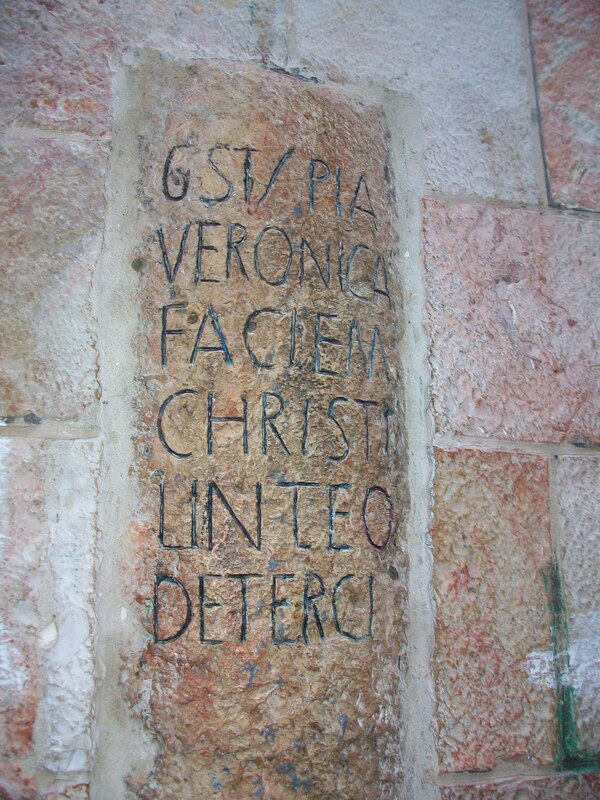 Place: This station is marked by a Franciscan oratory where the Via Dolorosa starts to ascend steeply to Golgotha.